While it’s the problem you’re too embarrassed to talk about, even with your doctor, you’re not alone. The uncomfortable and sometimes even painful condition known as constipation affects more than 4 million Americans frequently, according to the National Institute of Diabetes and Digestive and Kidney Diseases. Whether from pregnancy, medications, improper diet or other changes in lifestyle, constipation affects most women eventually. Here are a few of the most frequently asked questions when it comes to getting things moving again, helping you to get on with your life. Q: What are the best foods to eat to help relieve constipation? A: Go for high fiber foods and lots of water. Reach for foods containing insoluble fiber, which increases the bulk of your stool, resulting in a quicker transit time. 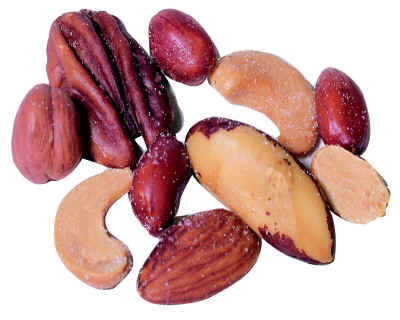 These foods include bran cereal, 100% whole grain bread, legumes, nuts and seeds, green beans, and apple and potato skins. Melissa Nodvin, MS, RD/LD, of Health Ally recommends making small changes, not sweeping changes. Drinking at least eight to nine cups of water daily may also bring you relief. Keeping a daily food journal is another activity Nodvin recommends to identify constipation helpers and offenders. Q: I feel like I’ve tried everything to relieve my constipation. Could a laxative product be right for me? A: There’s a wide array of digestive health products out there that offer constipation relief, and you need to make sure to have the one that’s right for you. As a member of the “Constipation Crew” team of health professionals involved in digestive health, I recommend Senokot Tablets for gentle and effective overnight relief from occasional constipation. It contains the natural vegetable laxative ingredient proven effective in over 50 clinical studies. The small package of 20 tablets is convenient and easy to take with you. Visit getconstipationrelief.com for more information and $10 in savings. Q: Do prunes really help that much with relieving constipation, or is that just an old wives’ tale? A: Your grandma was right. 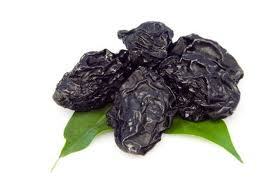 Whole prunes and prune juice not only contain a good source of fiber, potassium and vitamin A, they also contain significant sources of sorbitol and plant compounds believed to provide a laxative affect. Sprinkle chopped prunes onto your cereal and oatmeal, stir into pancake or muffin batter, or just grab a small handful for a quick snack. Try adding prune juice to a banana smoothie for a nutritious breakfast. Q: I eat a healthy diet and exercise regularly, but I still get constipated sometimes. Help! A: Since constipation can be caused by a variety of factors, it’s important to take a look at your entire lifestyle, including your medicinal regimen. Talk with your doctor and pharmacist to see if that may be the culprit, and they may recommend a new medication, laxative or stool softener. Changes in your schedule, an erratic schedule and stress are other factors that can lead to constipation.